Either you are a constitutionalist or you aren’t. If you aren’t, then in the most important ways you are anti-American. As such, you are my enemy — and a person looking to enslave me, my children, and those who matter most to me. Read the Whole Think as he references an ongoing theme of this blog, the Rise of Leviathan. So how do we proceed? It’s well and good to talk of “letting it burn” and “soft civil war,” but so what? 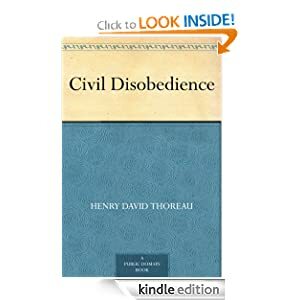 What manner of civil disobedience will usefully bring pain to the opponents of liberty? Because they seem awfully willing to bring the pain to us. I’m going to start here. It’s free on Kindle. I am wondering if there are certain ammendments that should be repealed especially in regards to the franchise. Previous Previous post: Captain White Just Rearranged the Hell Out of Those Deck Chairs.